My daughter was born in Lichtenburg (North West) on the 28th of May, 1992. 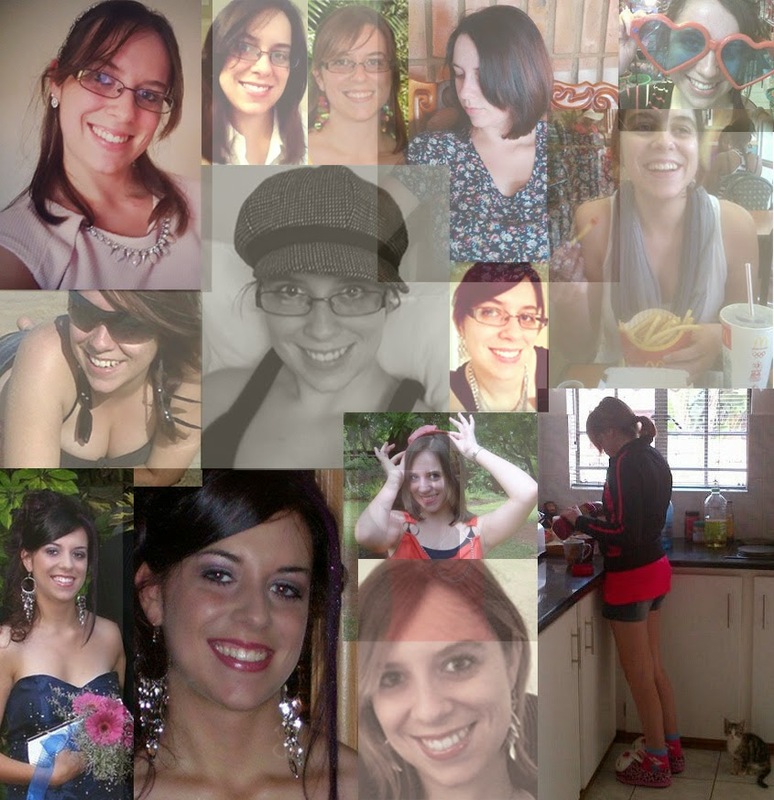 Her name is Jana Steyn. She is my eldest child and I am so proud of her. She is currently studying her LLB degree through UNISA and works as a candidate attorney at an attorney's office in town, which means she's still living at home. She is my friend, a confidante and anchor in my life. I remember talking, and reading and singing to Jana whilst being pregnant. When she was born, I used to sing and dance her to sleep. Yes, dance. I would lay her down on a pillow and dance with her in my arms until she was fast asleep. I had very little choice because she was extremely curious and sleeping was the last thing on her mind. But she loved music and she loved it when we danced. Throughout her life, I did everything in my power to broaden her horizons and encourage a diversity of interests. Today I am proud to say, her versatile personality and intelligence has turned her into an extremely interesting person. She remains curious, has a wonderful sense of humour and has a wide range of diverse friends, from Evert Coetzee, a lecturer at the University of Pretoria (one of the most intelligent men I know), to Valerie Linford, a creative fashion designer. Since the year that she finished her school career, I have discovered so many new facets of her personality. To be honest, it's a kaleidoscope of personalities in one. Sometimes her personalities contradict one another, but strangely enough they still work together. Jana gets bored and irritated easily. Talk to her without hesitation and talk to her about a variety of stuff. She loves people who are positive. Don’t nag or moan or repeat. She’s independent and doesn’t like being confined in company or places. The saying: If you love something, set it free …”. That’s Jana. Don't become obsessive or clingy. Be honest. She can detect lies, schemes, false appearances – any form of deceit – very quickly. And then you’ve lost her. She has a fine eye for detail and likes art and "weirdness" (movies, books, fashion, etc.) She doesn’t like monotony or routine. Expect impulsiveness from her! She’s quiet, but once she gets to know you and places her trust in you, she will talk your head off. She has many ideas and dreams and will often ask you for some advice. If it’s all blah-blah-blah to you, don’t bother to stick around. You really need to be interested in what she’s talking about otherwise you’ll just end up being frustrated. So stay and listen, or leave. When you do stay to listen, be a good listener. She hates self-centered people who only talk about themselves (and NO she isn’t one of them). If you don’t make eye contact and she senses you’re not listening to her, she will lose interest in you. Trust, as I’ve said, is important to her. She will not jump into a relationship if she doesn’t trust you (any relationship, e.g. friendship). She loves to eat. Food is the key to her heart! Don’t ever give her choices. She cannot make decisions because all options to her are opportunities. If you force her to decide, she will be very unhappy. For example: “Should we eat out at Spur or Ocean Basket?” That’s wrong! Just say, “We’re going to Ocean Basket!” Of course, because it’s food, her mind will go off on a tangent and she’ll start thinking of all the other options. Let her speak her mind. But stop in front of Ocean Basket and go with the “Oops! My bad!” approach. She’ll get over it once she sees the menu. Take a photo. She loves visual aids. But don’t take one without her permission. She’s very private. If she sees you as a paparazzi stalker, she’ll ban you for life. You must always impress her intelligence or sense of humour. You don’t have to be intelligent, just versatile and funny. If you sense things are going wrong, give her food or make her laugh. That should terminate a lot of tension. If you can’t make her laugh, then it’s better to leave her alone. She changes like the wind. Be prepared for her versatility. Then she likes it and then she doesn’t. Build a bridge and move on. In relationships, she is very loyal. She’ll stick by your side through thick and thin. Until you judge her … Jana doesn’t judge people and is fair-minded. She believes everyone has rights (no wonder she’s studying LAW) and feelings, and deserves a place on earth. She LOVES cats. So if you don’t, move along! She also loves Ellen DeGeneres. Jana is my one and only precious daughter. I love her so much and I’m so grateful that she is a part of my life. My wish for her is a life filled with rich blessings.